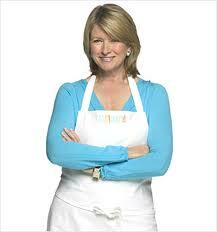 Martha Stewart has had rocky relationships over the past decade. Her long-time deal with Kmart ended, and she has been quite vocal about the poor quality of Kmart stores and the Stewart merchandise they carry. It has not been a very happy situation. Further, she served time in prison for a conviction of lying to federal investigators, and this has is one of those negative image clouds that will always travel with her and her brand. So she is a brand that has some potential baggage. Ingredient branding is nothing new. Think Intel Inside, or NutraSweet, or Hersey’s chocolate in a Duncan Hines brownie mix. In fact, in the retail world, the store-within-a-store and shared “brands” is not a particularly new idea. Recently, I took a walk through Saks Fifth Avenue on Fifth Avenue in New York, and almost every space is taken by a designer name. Good example of the collective of many “ingredient” brands giving the store great presence and appeal. But each time marketers think about using an ingredient brand, they also have to consider the risk of dilution of their own brand. Why isn’t the original brand strong enough to stand on it’s own? Why does it need another brand to strengthen it’s offering? If a marketer does feel strongly that an ingredient brand is the right way to go, then there is an assumed co-dependency that each brand will hold up their end of the brand equity bargain, and do nothing to tarnish the other. Marketers, while often attracted by the appeal of having a secondary brand to amplify and extend their own, need to think through the downside. What could be the consequence if the “ingredient” brand had a major problem in product quality, reputation, or some other part of their business? Would it hurt the primary brand? How might a crisis be handled? Can a co-brand agreement be easily unwound? Answers to these problems can avoid monumental headaches down the road. Remember Orbit Whitening Gum “powered by Crest”? 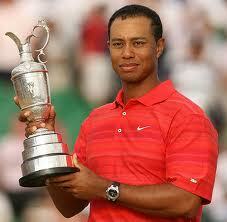 Or the impact of the Tiger Woods meltdown on Accenture and other brands he endorsed? How about the attempted American Airlines and America Online joint loyalty program? Not all co-brand and ingredient brand ideas work out. To be sure, there have been many, many successful ingredient brand alliances. The advice here is just think the issue all the way through. Better to make a good decision up front, than get into a risky brand relationship that can cause your brand problems down the road. 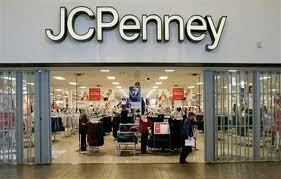 Certainly, J.C. Penney has considered the worst case and decided that Martha’s reputation and track record far outweigh the risks. Perhaps in having to build their home goods business, the Martha Stewart brand is the only available and most expedient way to do this. So I hope they have thought through some of the downside scenarios and tried to anticipate how to protect the J.C. Penney brand first. If so… let the shopping begin.